In ridiculously crowded field, Democrats field yet another POS politician. 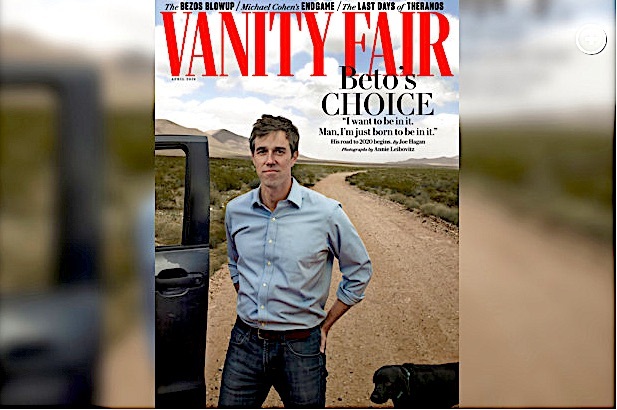 Gigantic egotistical nimcompoop O’Rourke to waste people’s time and even money. On Thursday former Texas congressman Beto O’Rourke became the 15th declared candidate for the 2020 Democratic Party presidential nomination. The 15th so far. There are more nonentities, hucksters and reactionaries to follow. O’Rourke is a conventional American bourgeois politician. He attempts to make something out of his relative youth, “punk rock” background and tactical differences with ultra-reactionaries such as Donald Trump and Ted Cruz, against whom he ran for the US Senate seat in Texas in 2018. 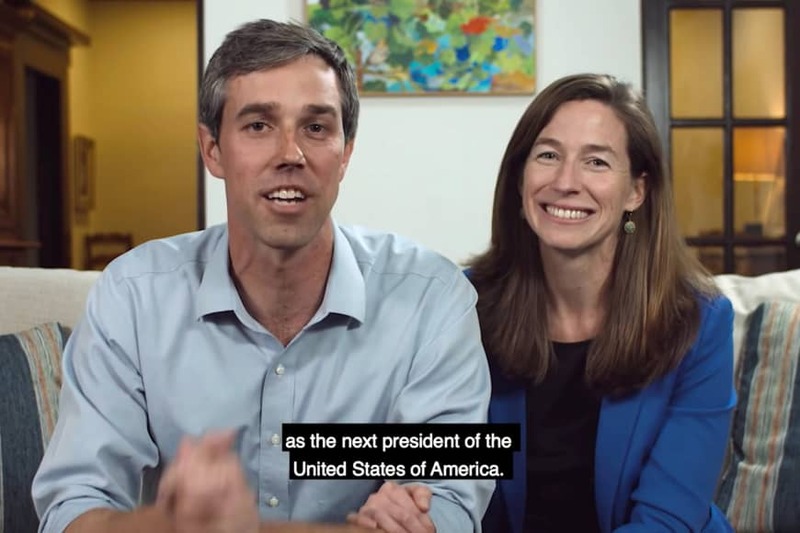 O’Rourke’s three-minute video released Thursday announcing his candidacy for the 2020 nomination is presumably typical of what we can expect from him, i.e., a stream of stock phrases and empty generalities intended to be vaguely urgent, uplifting and optimistic without committing the candidate to anything. O’Rourke’s primary claim to fame is making the Senate contest with Cruz, a detestable figure, in 2018 a close one. That had little to do with O’Rourke, much less any “progressive” content to his campaign. Indeed, as the WSWS noted at the time, his candidacy was prominently endorsed by former CIA director John Brennan, arch-war criminal and defender of torture and drone missile assassinations. In addition, the three-term El Paso congressman won the backing of the Houston Chronicle, the Dallas Morning News and the Fort Worth Star-Telegram, three of the state’s most prominent newspapers and traditional supporters of Republican candidates, including George W. Bush. O’Rourke and wife: the golden pair announces hubby’s bid for the presidency. Disgusting conceit and ambition. Why not? In that 2018 race, O’Rourke was able to raise tens of millions of dollars from donors all over the US. Given the egotism and self-admiration of such types, it was perhaps inevitable that he drew the conclusion he had a vast following, rather than seeing his support as an expression of widespread revulsion at the semi-fascist Cruz. There is no American politician, with the possible and mistaken exception of Sen. Bernie Sanders, associated with widely popular attacks on the “billionaire class,” who has a genuine base of support. O’Rourke, a businessman whose real estate developer father-in-law is worth an estimated $500 million (according to Forbes), recently affirmed his support for the existing economic system, the source of every social ill in America. The Democratic Party specializes in coming up with “mavericks” with nothing unconventional about them, “independents” joined at the hip to the corporate-financial elite and “populists” whose policies would further damage the population. His views on the anti-Russian campaign (he supported impeachment of Trump over his summit with Vladimir Putin), the military, immigration and every other major issue are in line, give or take, with the rest of the political establishment. He has criticized Trump’s fascistic ranting about Mexican immigrants but opposes amnesty for the undocumented and open borders and praises the current level of border “security,” which has led to the deaths of thousands of desperate people. In other words, without fully meaning to, the Atlantic piece paints the portrait of a political charlatan, an empty vessel who will be at the service of the oligarchy. Not everyone is happy with O’Rourke. The New York Times, speaking for upper-middle-class layers obsessed with gender and race, expressed disappointment with the entrance of a white male into the Democratic presidential mix. The fraud of the O’Rourke candidacy brings out sharply and dramatically the desiccation of the American political system, its alienation from the broad mass of the population and the antidemocratic character of the entire electoral process. David Walsh is wsws.org’s senior art and culture critic.